Clerk of Court In Holmes County Florida Arrested :: RickeyStokesNews.com! HOLMES COUNTY ( BONIFAY ) FL: Reports out of Holmes County Florida ( Bonifay ) of where the Clerk of Court has been arrested. The FDLE ( Florida Department of Law Enforcement ) have arrested the Clerk of the Court according to local news media. The charges have not been released. 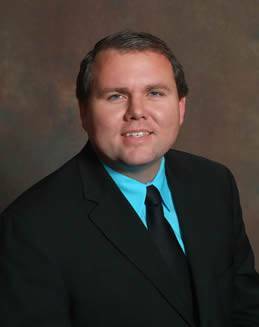 Kyle Hudson, Clerk of the Courts for Holmes County Florida is a duly elected Constitutional Officer as mandated by Article V, Section 16 of the Constitution of the State of Florida. Hudson was elected to Office of Clerk in November, 2012. The electorate of Holmes County elects the Clerk to a four-year term. Within these areas, the Clerk of Court, as an elected public trustee, sets in place at the county level a system of "checks and balances" which has been proven to service the public well. TALLAHASSEE -- Holmes County Clerk of Court Kyle Hudson was among 29 public officials to be dismissed of complaints reviewed by the Florida Commission on Ethics in a closed session meeting March 6 in Tallahassee. The commission received a complaint from an inmate currently in Florida Department of Corrections custody who alleged Hudson’s office removed information from a document that accompanied an official complaint he filed alleging violent treatment by law enforcement officers. The commission dismissed the inmate’s complaint, finding no probable cause for further investigation after it determined there was not sufficient evidence to support the inmate’s claim. HOLMES COUNTY, Fla. (WJHG/WECP) - Sources confirmed to NewsChannel 7/Local 18 News the Florida Department of Law Enforcement has arrested Holmes County Clerk of Court Kyle Hudson.